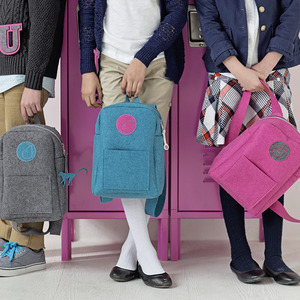 The Li'l Ruck teaches advanced sewing skills such as pivoting, stitching multiple fabric layers and sewing a zipper. From Bluefig U come a wonderful kit for those learning to sew! Li'l Ruck is adorable, fun, easy to carry, and even easier to make!